“In order to improve the overall healthcare sector and cope up with the out of pocket expenses, the GDP must be increased to at least 5 per cent,” IMA President said. 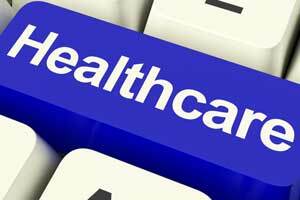 New Delhi: The Indian Medical Association (IMA) Sunday released its health manifesto ahead of the Lok Sabha polls and urged all political parties to give priority to the health sector. The manifesto contains various suggestions to improve public health, change policy directions, streamline medical education and improve medical research. “There is insufficient funding in the healthcare sector and the GDP in healthcare is at a dismal rate of 1.2 pc. The out of pocket expenditure is one of the highest for our country and every year over 3.3 per cent of people are pushed below poverty line due to expenditure on health,” said Dr Santanu Sen, the national president of IMA. “In order to improve the overall healthcare sector and cope up with the out of pocket expenses, the GDP must be increased to at least 5 per cent,” he said. The IMA will soon launch a countrywide ‘Health First’ campaign to propagate the manifesto among the candidates, political parties and the public. The local units of IMA will conduct public meetings and seminars in which the candidates for the Lok Sabha elections will also be invited. “The primary and preventive care should be given top priority. Wellness centres have to be reconceived and they have to be manned by MBBS graduates,” said Dr R V Asokan, the general secretary of IMA. “MBBS doctors are ready to work in rural areas and the IMA can facilitate availability of manpower to the primary care centres. There should be recruitment boards to recruit MBBS graduates for primary care,” he said. The idea is great, but every government regardless of the party which it belongs to thinks that Medical Fraternity is from Demon\’s Group and will have a deaf ear for our needs. They are not trying to understand without seeing in-depth problems . They just know how the public is suffering from health issues and health related financial issues. But they don\’t have an iota of knowledge how medical field suffering especially how doctors are suffering . I hope this initiation will bring good future and good health to public as well as to medical fraternity. If everything is reasonably paid ( calculating everything ) then there will be no or minimal corruption.